Carl Adams is a currently studying on a three year Trainee Consultant Practitioner Programme with Health Education England, Wessex. As part of Carl’s training he regularly participates in our Quality Improvement Workshops as well as benefiting from online QI training and one-to-one coaching clinics. Our approach at the Quality Improvement Clinic is to help individuals make a sustained difference to patient care. We facilitate and nurture skills acquisition and this fosters confidence for learners to set new goals and realise improvement for their patients. 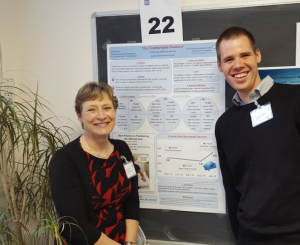 The QI methods and tools Carl learnt and developed through the Quality Improvement Clinics gave him the structure and direction for his chosen QI project which was focussed on patient outcome as well as obtaining a very good measure to support and guide the project. 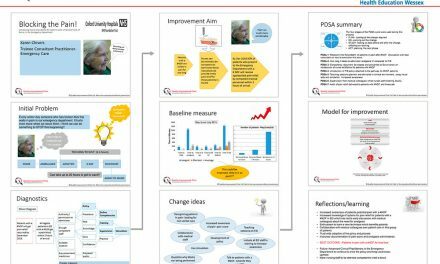 Ultimately these QI methods help improve the chance of project success and long term improvement in patient care. 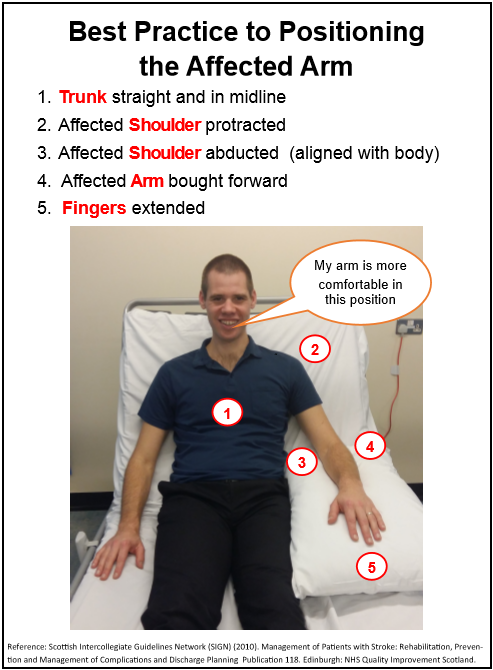 The poor and inconsistent positioning of a patient’s arm who had suffered significant paralysis following a stroke. 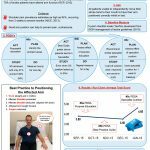 Approximately 70% of stroke patients suffer altered arm function (RCP 2012) and on almost of one third of stroke ward patients require good arm positioning. Carl’s QI project endeavoured to solve the problem of inconsistent positioning of the stroke arm whilst the patient is in bed. The problem was addressed through the development of a five-point, best practice guide. It provided Carl with a tool to measure the size of the problem, to education those caring for these patients and to measure the improvement. 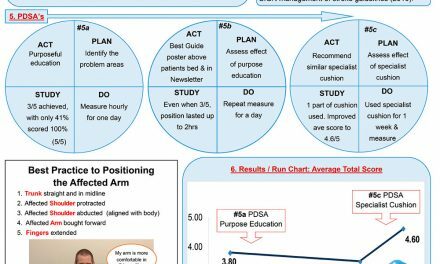 The two measureable outcomes to Carl’s QI project have been: an improvement in the positioning of the stroke arm and an improvement in patient comfort. From published evidence, the former is likely to reduce the risk of long term complications such as pain, contractures and pressure problems for patients. Carl produced a storyboard as a poster. 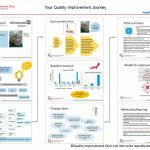 This allowed him to showcase all the components of this QI project presenting it in a clear and concise manner. 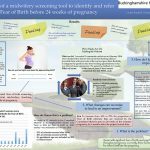 The poster delivers clear and effective communication of the project including the observed problem and solution to all stakeholders and wider audiences. 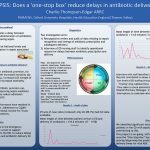 Winning first prize at the Bristol patient safety conference has been a highlight for Carl and a boost to his confidence. 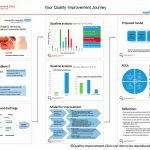 It was commended for QI methodology, as well as the process and the impact on patient care. “I was very proud to win this prize but also this was an opportunity to share my project with a wider audience. PreviousCrisis in mental health: Can quality improvement help?